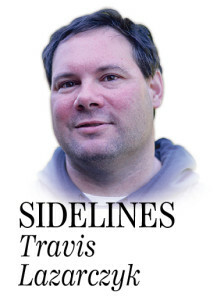 Fans of the gridiron in central Maine have plenty of options, Travis Lazarczyk writes. So many big football games on the schedule for the upcoming season. A fan can’t possibly see them all. But if you want to see as many as possible, seeing as many teams as possible, it can be done. 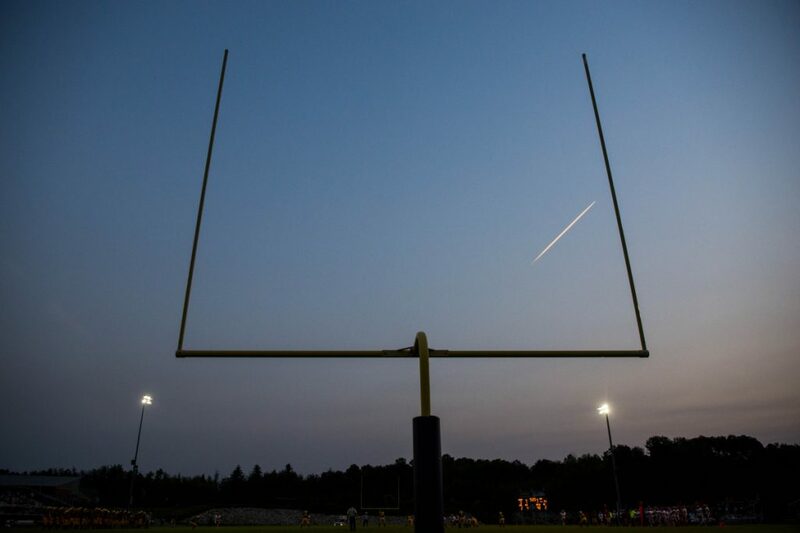 There are 16 high school football teams in central Maine. Here is how you can see each one of them at least once this season. August 31: Lawrence at Mt. Blue. The season begins with an old school Pine Tree Conference rivalry game. Sept. 1: Winslow at Nokomis. Last season, Nokomis won six games and made the playoffs for the first time in program history. Now, the Warriors have expectations and kick off a tougher schedule with the perennial powerful Black Raiders. Sept. 7: Winslow at Gardiner. Once a great conference rivalry, this is now a crossover game between a pair of teams expected to be among the best in Class C.
Sept. 8: Madison at Waterville. A crossover game between former Class C North rivals. Waterville is looking to build on the improvement it showed last season. Madison lost just twice last season, both times to Class D state champion Wells. Coming off an opening night rematch with Wells, this game will be another test for the Bulldogs. Sept. 14: Skowhegan at Cony. The two best passing teams in the PTC B division. This game could end up deciding a first round bye when the playoffs roll around. Sept. 15: Waterville at Winslow. Central Maine’s annual Battle of the Bridge. Sept. 20: Orono at Mount View. A rare Thursday night game. The Mustangs host this one under the lights at Larrabee Field, their former home field in Knox. Sept. 21: Marshwood at Skowhegan. A rematch of last season’s Class B state championship game, which Marshwood won convincingly. This will be a good midseason test for a pair of teams that expect to make deep playoff runs again. Sept. 22: Waterville at Nokomis. This could be one of the biggest games that determines playoff seeding. Sept. 28: Maranacook at Winthrop/Monmouth/Hall-Dale. While Maranacook competes in the Class E developmental league again this season, Winthrop/Monmouth/Hall-Dale will be fighting for a playoff spot in Class D South. Sept. 29: Lawrence at Winslow. Last season, these old rivals met for the first time in almost 30 years. This season, they bring the action to Poulin Field. Oct. 5: Cape Elizabeth at Gardiner. This is a rematch of last season’s Class C South regional championship game. Cape Elizabeth and Gardiner should again be among the top teams in the region, and this could be a preview of a playoff game. Oct. 6: Maine Central Institute at Winslow. On the way to the Class C state title last year, MCI won a nail-biter at Winslow, 43-42. Few teams go to Poulin Field and win. With playoff seeding at stake when these teams meet in Week 6, can the Huskies win in Winslow a second consecutive time? Oct. 12: Gardiner at Cony. One of the oldest rivalries in the state, Gardiner and Cony will meet in the next-to-last game of the regular season instead of the finale. No matter when this game is played, it will be a tough game. Oct. 19: Lawrence at Messalonskee. The final week of the regular season has great rivalry games across the state. With Cony and Gardiner playing a week earlier, Lawrence and Messalonskee’s meeting at Colby College’s Alfond Stadium could be a good one. Oct. 20: Lisbon at Oak Hill. Lisbon and Oak Hill have become fierce rivals in recent years, with Oak Hill head coach Stacen Doucette’s ties to Lisbon as a former member of the Greyhounds coaching staff. This game should determine playoff positions for two teams expecting to compete in Class D South. Oct. 27: Kents Hill at Hebron. While teams in the Maine Principals’ Association begin the playoffs this week, Kents Hill and Hebron end their season with their annual Evergreen League rivalry game. To the winner goes the Headmaster’s Chair.